Gusty winds blasted across northern Utah on Wednesday, March 4, ahead of a winter storm that was making its way east across the region. According to news reports, 90 people had to be evacuated at a Utah ski resort when a chair lift malfunctioned in the strong winds. 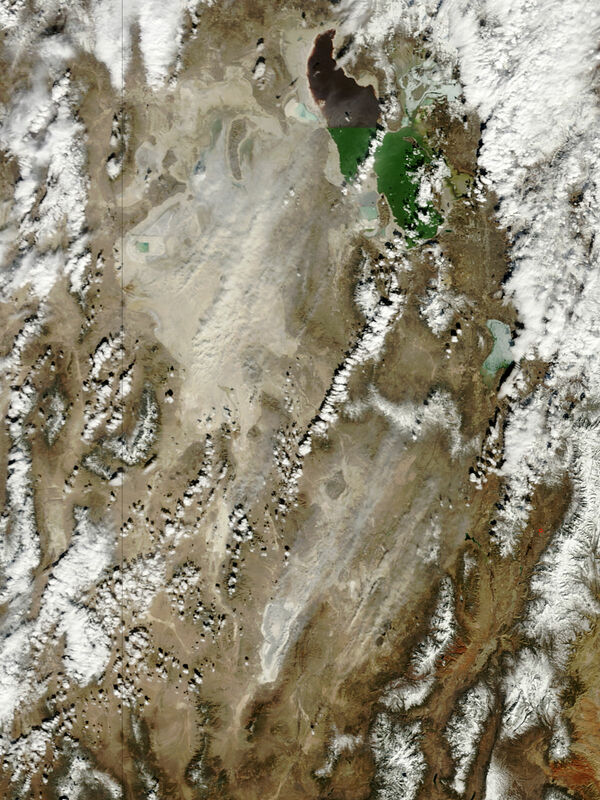 The winds scoured dust off the Great Salt Lake Desert and Bonneville Salt Flats and showered it down across the northern part of the state. 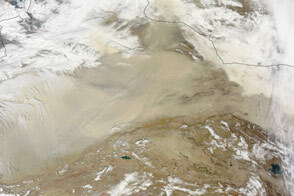 This image of the dust storm was captured by the Moderate Resolution Imaging Spectroradiometer (MODIS) on NASA’s Terra satellite on March 4, 2009. 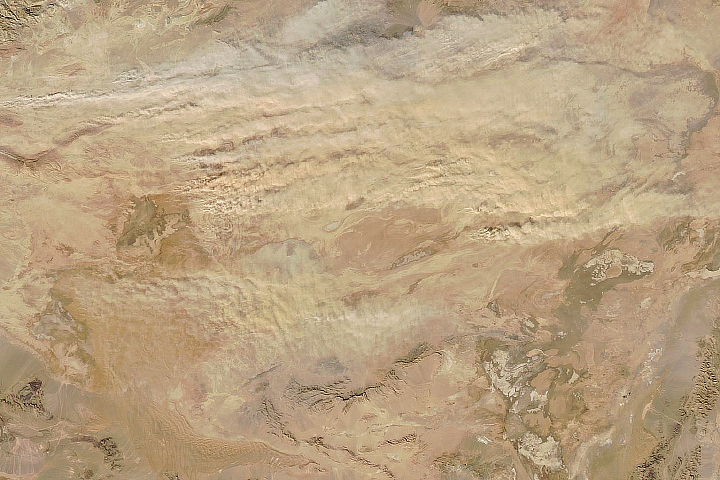 The dust clouds show up as pale ripples above the duller tan of the underlying desert. 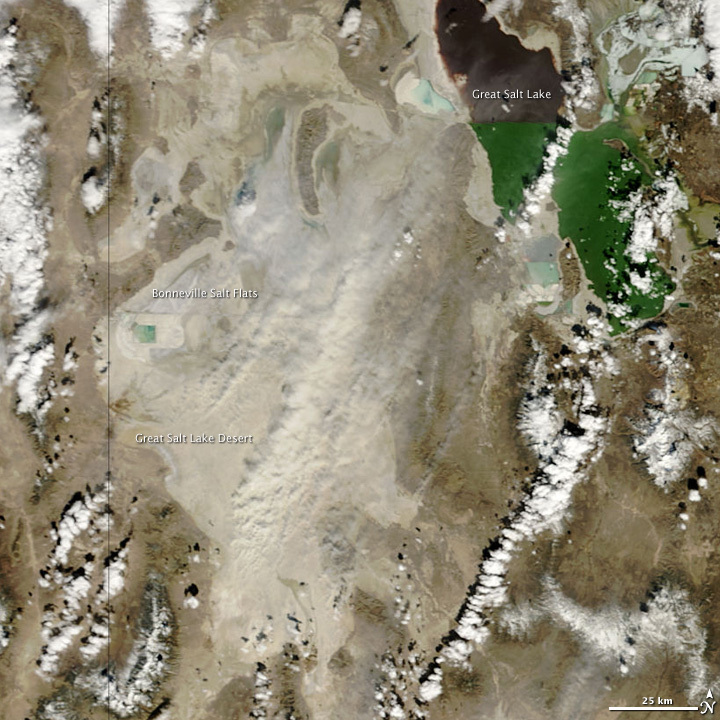 NASA image by Jeff Schmaltz, MODIS Rapid Response Team. Caption by Rebecca Lindsey. 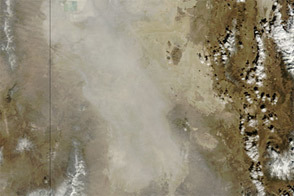 This image of a dust storm in Utah was captured by the Moderate Resolution Imaging Spectroradiometer (MODIS) on NASA’s Terra satellite on March 4, 2009. AP. (2009, March 5). 89 skiers evacuated from chair lift at Utah’s Snowbird resort. Accessed March 5, 2009.